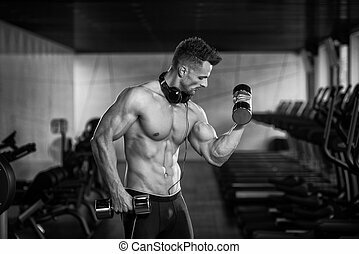 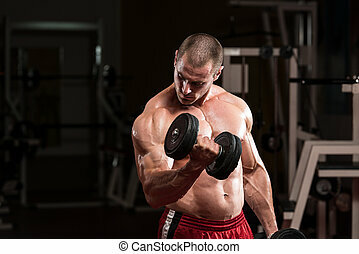 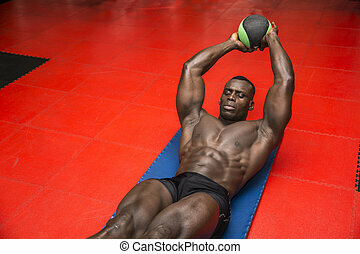 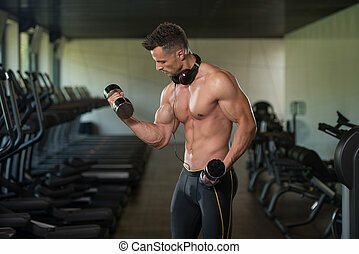 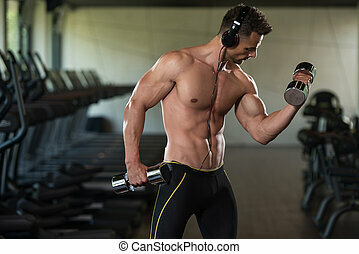 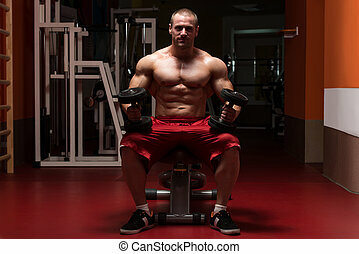 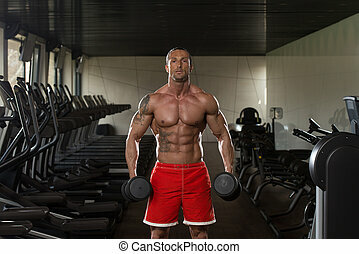 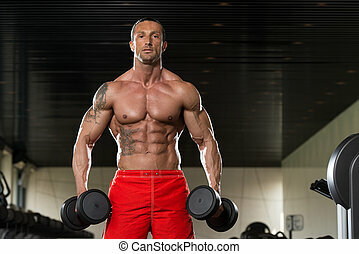 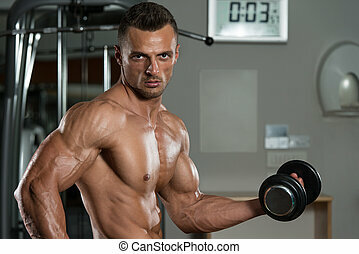 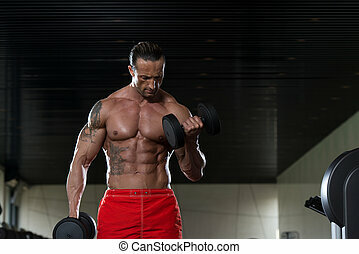 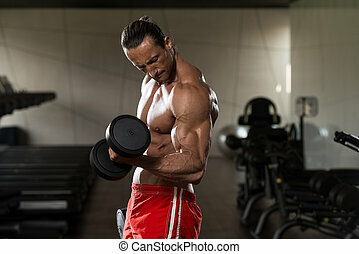 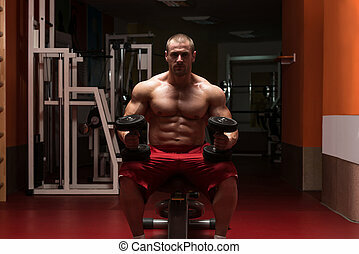 Bodybuilder exercising biceps with dumbbells. 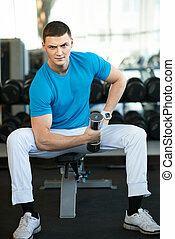 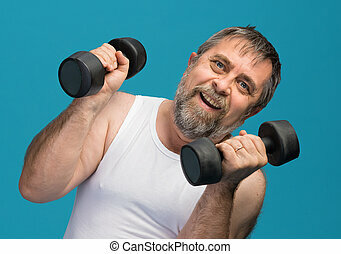 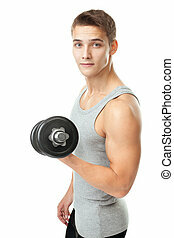 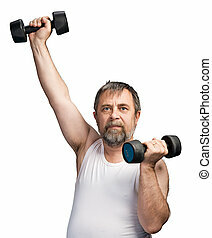 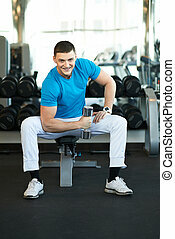 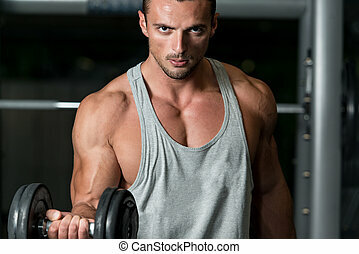 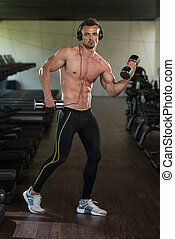 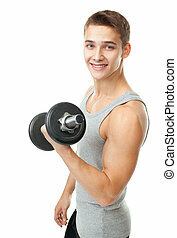 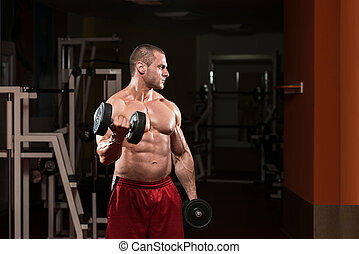 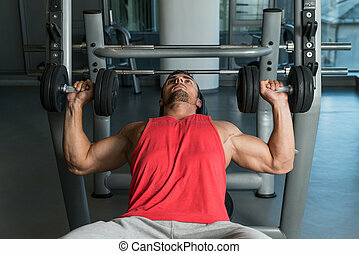 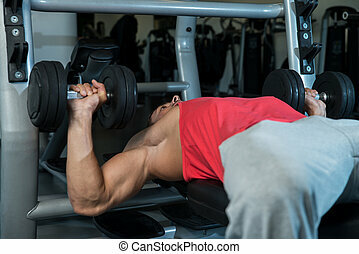 Young man working out biceps - dumbbell concentration curls. 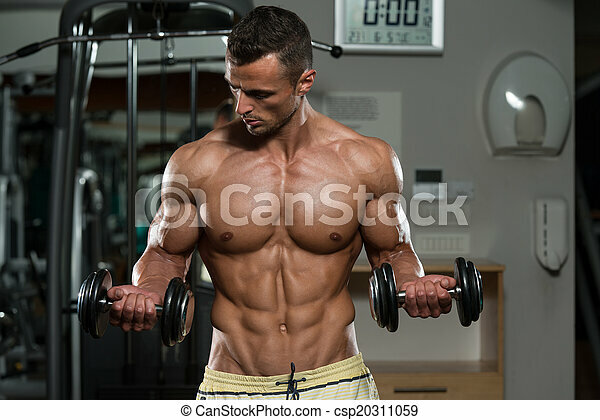 Female fitness model exercising with dumbbell. 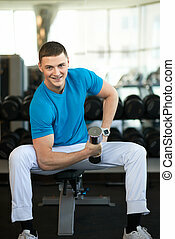 Young female bodybuilder working out with hand weights on black background. 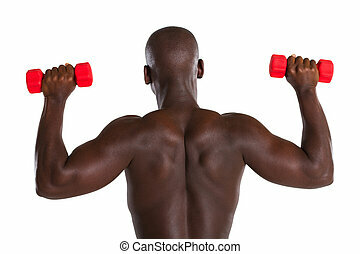 Woman with muscular body.